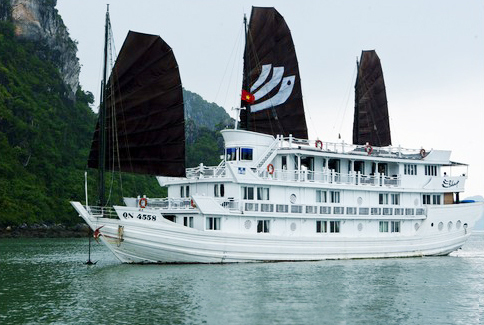 Bhaya Cruises 2 day 1 night give more opportunities to explore out of the way places and indulge in the natural wonder of Halong Bay. See the magnificent limestone islets and outcrops lined-up across the emerald sea. Explore a remote fishing village to view the daily lives of the locals. Check-in at Bhaya Café, Halong City. Embark on Bhaya Classic for a Welcome Cocktail followed by a cruise briefing. 13.00 : Savor a delicious Vietnamese buffet lunch as Bhaya Classic heads to Bai Tu Long Bay passing the towns of Hon Gai and Cam Pha, Oan Lagoon, Mat Quy (Monster Head) and Am Tich (Teapot) Islets and Vung Vieng fishing village. 17.00 : Bhaya Classic cruises through the Bay to its overnight anchorage near Ho Dong Tien. 19.30 : Sumptuous Seafood Set-dinner onboard. 21.00 : Retire to your cabin or join the fishing program. 06.15 : Start your day with Tai Chi on the Sundeck while complimentary tea & coffee are served. 07.00 : Bhaya Classic weighs anchor to cruise through the Bay passing beautiful spots like Trong (Drum), Trinh Nu (Virgin) and Me Cung Caves, Coc Ngoi (Toad) Islet, etc. 08.30 : Explore the Surprise Cave (Sung Sot). 09.30: Return to Bhaya Classic. Buffet brunch is served onboard. The vessel cruises leisurely back to harbor. 11.00 : Disembark at Bhaya Café, Halong City. 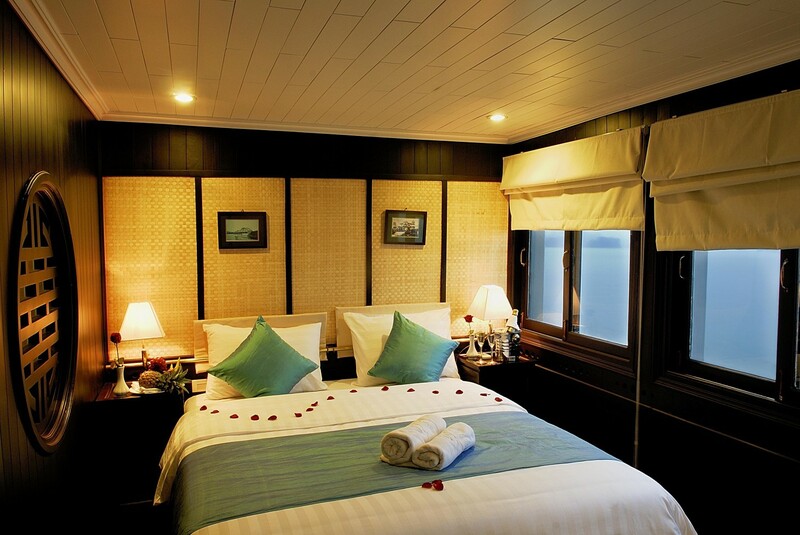 Relax inside the pier building while waiting for return transportation.